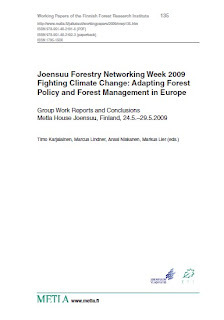 A few months ago, METLA held the Joensuu Forestry Networking Week (24.5.–29.5.2009). 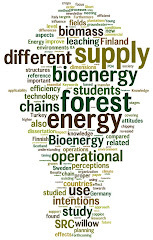 The event was organised jointly by the Finnish Forest Research Institute (Metla), the European Forest Institute (EFI) and the University of Joensuu, Faculty of Forest Sciences in co-operation with the COST Action: Expected Climate Change and Options for European Silviculture (ECHOES). The main focus was on the relations between forest policy, forest management and climate change.